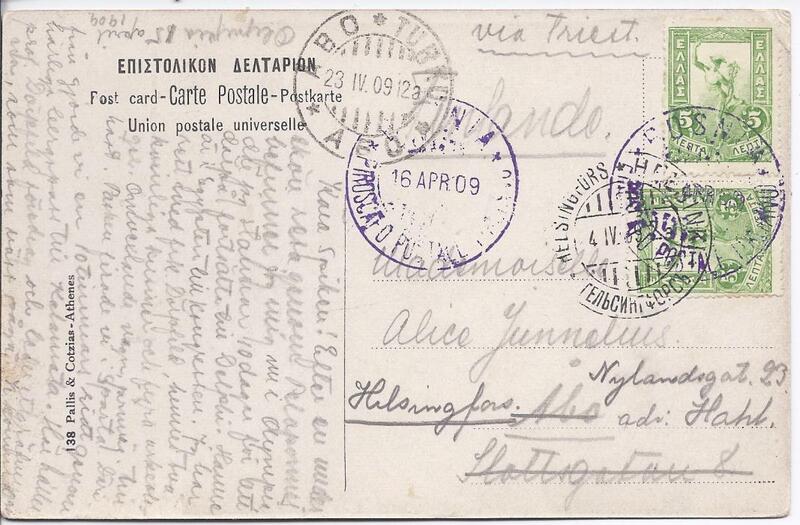 Greece 1909 picture postcard to Finland franked two 5L. tied BOSNIA Piroscafo Postale Itaiano cds with another strike alongside, redirected on arrival from Abo to Helsingfors. 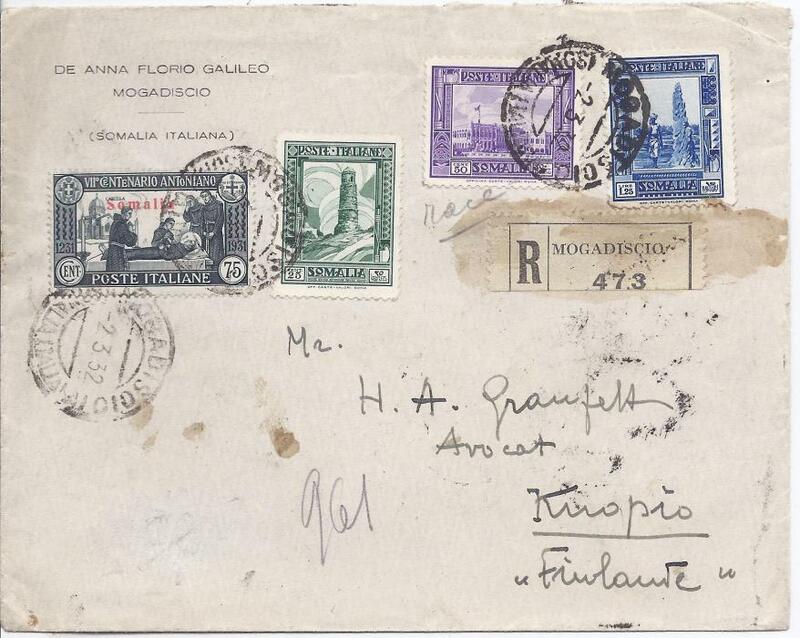 Somalia 1932 registered cover to Kuopio, Finland, the franking including 75c. St Anthony, tied Mogadiscio cds, glue stained registration label at right. Reverse with Italian tpo's and arrival cds.